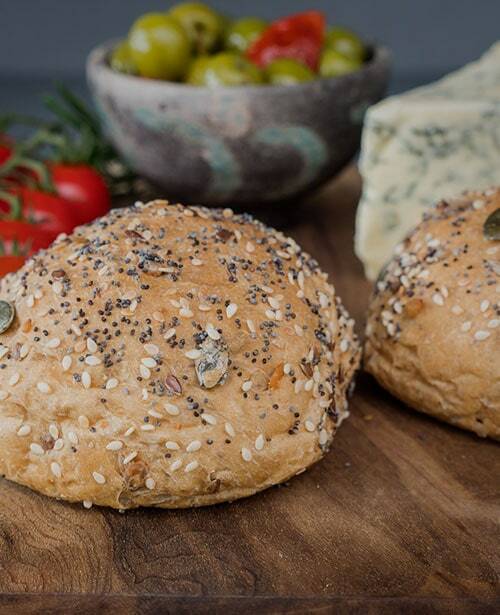 We understand how important it is that you receive fresh and fabulous bread for your customers to enjoy every day. That is why we work through the night and day to deliver you our freshly baked bread and pastries 6 days a week. You can rely upon our excellent and flexible service to suit your business needs, large or small. Why Choose Taylors for your business? From a classic white bloomer to our speciality range, we offer an exciting and ever growing selection of savoury and sweet delights. Whether it’s the grandest banquet or your pack lunch box, our award winning craft bakers work hard creating delicious products for every occasion. Prepare to be seriously tempted! We deliver to businesses within a 30 mile radius of our bakery in Bruton. Take a look at the map to see if your business is in the blue delivery circle. For next day delivery….. Place your order by midday the day before to receive your goodies the very next morning. Please note that orders for Saturday and Monday need to be placed by midday Friday. For new wholesale accounts – please contact us to discuss your delivery requirements. Our friendly team at the office are here to help from 8am to 6pm Monday to Friday. Our vans are on the road six days a week from Monday to Saturday. Sorry, no deliveries on Sundays. Get in touch on the phone or using the form below. We’d love to arrange samples of our wares for you to taste and discuss setting up your wholesale account. Don’t worry, we are not pushy sales types, we like to let our bread do all the talking!